Refresh: Enjoy Great Bargains Galore With Over 90 Merchant Promotions In The National Day Parade 2017 Discount Booklet! Enjoy Great Bargains Galore With Over 90 Merchant Promotions In The National Day Parade 2017 Discount Booklet! It's our national birthday soon! 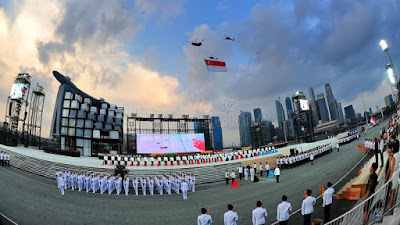 As the nation gears up for its 52nd birthday, Greendot Media Pte Ltd joins in the celebration with the circulation of its annual National Day Parade (NDP) Discount Booklet. 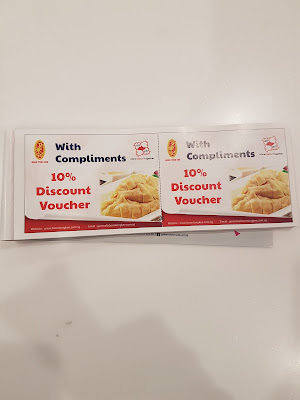 The only coupon booklet of its kind officially distributed in all the NDP Funpacks, the 2017 edition features over 90 reputable merchant brands offering promotions for the National Day period. 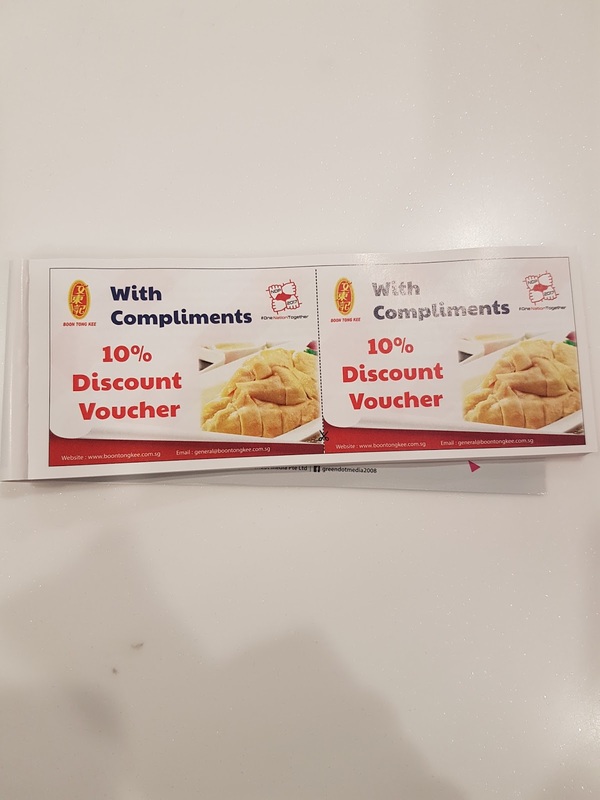 You can look forward to indulge in Singapore’s favourite past-times, such as dining and shopping, while enjoying good savings with the NDP coupons. Whet your appetites on 1-for-1 meals at Manhattan Fish Market and Holiday Inn Singapore Orchard City Centre; satisfy your munchies with offers from Polar Puffs, Old Chang Kee, LiHo, Delifrance, Popeyes and more. For those who are always looking for a fun day out or a staycation, remember to check out the offers from Expedia, Downtown East, Wildlife Reserves Singapore, Sentosa and other attractions. Especially for armchair shopaholics, several online retailers have also come onboard to offer special discounts, including Zalora, Lazada, Redmart, honestbee and Choo Choo Love. Furthermore, pampering treats await from a host of spa and beauty merchants, as well as health, fitness, living and lifestyle brands. I'm sensing a great month of enjoyment! This year, a total of 170,000 printed NDP Discount Booklets are distributed during six NDP shows held at the Float@Marina Bay, starting from the first National Education Show on 2 July 2017 to the grand parade on 9 August 2017. But for the benefit of those who do not get to attend the parades (like me :D), or those who want an extra copy of their favourite NDP coupons, Greendot Media has made available a majority of the coupons online as well as in a mobile app. 1) eCoupons can be printed out from http://www.greendotmedia.com.sg/ndp2017. 2) Flash the mCoupons in the official NDP mobile app, NDPeepsApp, available on both iOS and Andriod platforms and enjoy the same offers. Greendot Media is sweetening the deal by offering those who use the NDP coupons (in any format – print, eCoupon or mCoupon), an opportunity to win a pair of tickets to watch the 9 Aug NDP. 1. Make a purchase at any participating merchant outlet using the NDP discount coupon, with any amount spent. 2. Private Message an image of the receipt as proof of purchase. 3. Like the post and share it on your social media publicly with the hashtags #NDPDiscountBooklet and #GreendotMedia. The contest closes on 31 July 2017 and winners will be notified by Facebook private message. Greendot Media Pte Ltd is the long-standing official marketing agency of the NDP Discount Booklet and Major Partner of NDP 2017. As a media marketing agency, it leverages on media platforms to help brands deliver advertising results. Besides the NDP Discount Booklet, other media that it markets include KiasuParents.com- Singapore’s top parenting website, Monster.com.sg, Foodline.sg and more. I love getting the inside scoop about deals! Thanks for sharing the coupon my friend! Thanks for sharing!! Sales and Bargain is every girl favorite time. Thanks for sharing! OMG I have no idea about The National Day Parade 2017 Discount Booklet! So it's only available to those who attend the NDP right? Dang ~ Wish I have the tickets haha! Oooh! This sounds like an awesome deal! I love finding good coupons. Thank you for sharing! I really didn't expect that much good deals and offer going around National Day! I wish I could get my hands on those booklets! This looks like such a fun holiday! And such great deals. Want ultimate zero pain face lifting?